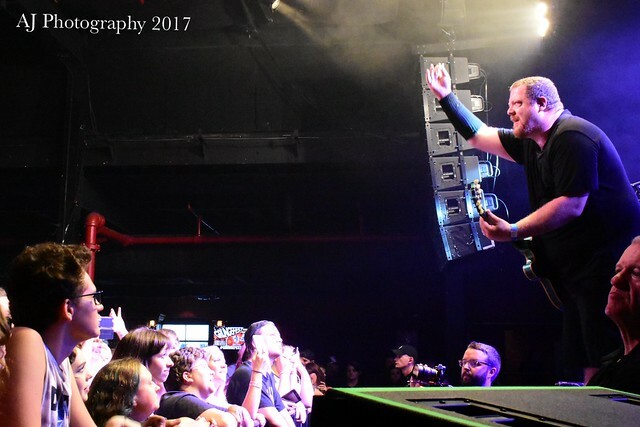 Timewarp with Grungefest 2017 – The Fillmore Charlotte Reviewed by admin on September 21, 2017 . 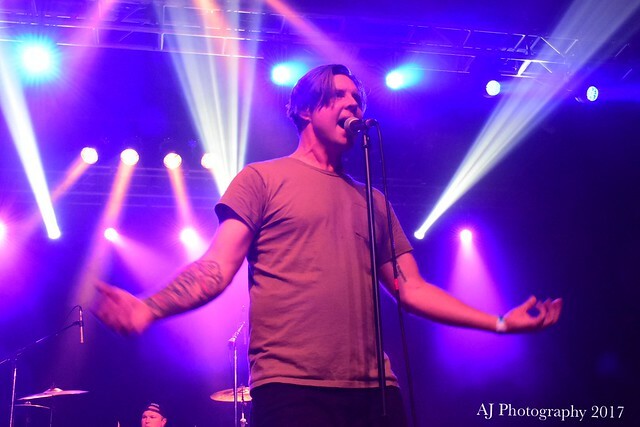 Last Sunday I went to see five very talented local grunge bands play at The Fillmore Charlotte. I was expecting a pretty good show, much like other tribute bands shows that I’ve seen in the last… boy was I wrong, it far surpassed my expectations. The doors opened at 1:00pm and there was food available to purchase before and during the show. There was a nice mix of people that attended; moms and dads that were fans of grunge and wanted their kids to experience the grunge vibe, music to teens that know the songs and appreciate the music, and a few that were way past Grunge but wanted to come and rock out for the day. It was a long day but it was worth every minute to stay and enjoy the show and I’m glad I did. 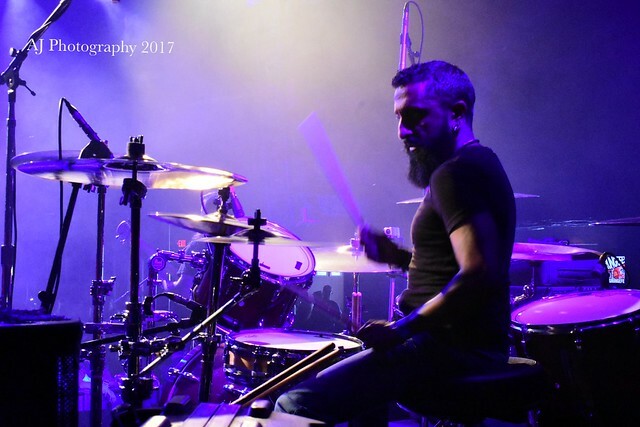 The audience vibe was energetic, loud, and rowdy but I feel those are the key ingredients to making a successful grunge show. There were kids there with their parents and they enjoyed every minute of the time there. I even caught one of the youngest fans dancing with her mom and friends, which always brings the biggest smile to my face. I love when kids actually want to go to shows and enjoy good music with the people closest to them. The evening started off with the newest tribute band Angry Chair – Alice In Chain Tribute. 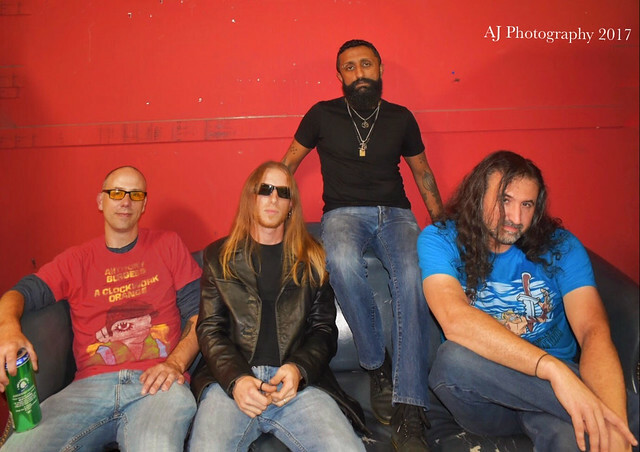 The band was formed earlier this year and being a brand new band, I met with Neel, Trevor, and the rest of the guys earlier in the week during a practice session to get a little bit more info about the band. As a fan of AIC, these guys delivered the aggressive, loud, in your face, moody melodies to the fans. As they hit the stage with “We Die Young,” the audience was ready to jam and they held the audience captive. Travis’ singing range is amazing and fills the room and cuts right through you. They closed out the set with my two favorite songs, “Rooster” and “Would.” Keep Angry Chair on your radar as they plan on continuing as a band and playing at venues in the future. They’re here to stay and will be a perfect addition the to the local Charlotte tribute band scene. 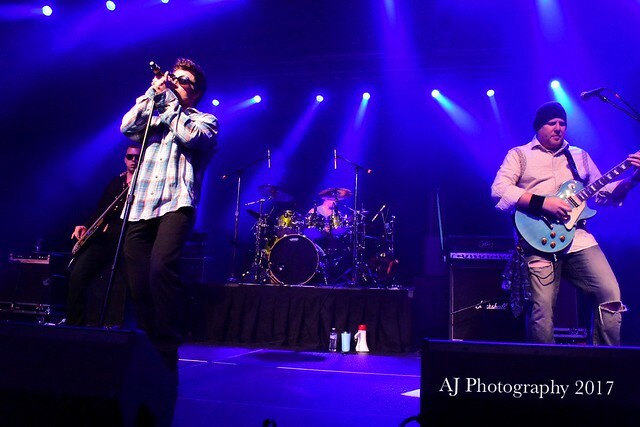 The second band to hit the stage was Big Empty – STP Tribute Band. 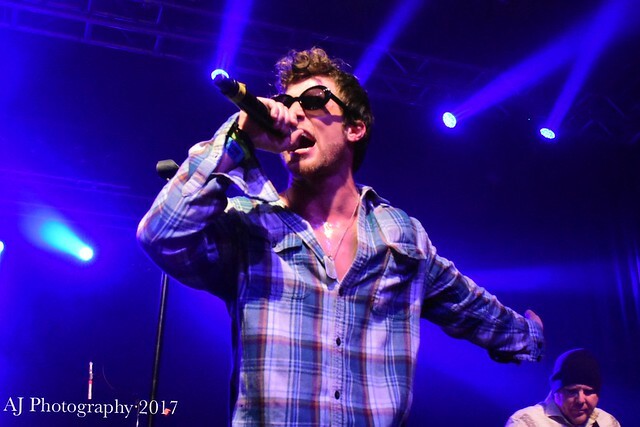 Vocalist Jordan Chapman stage presence of movement and sound was mirrored as if he were channeling into Scott Weiland while on stage. Every song was a spot on and the audience rocked it out. 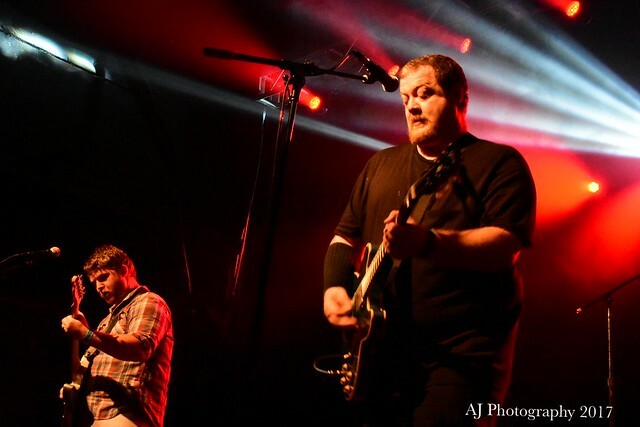 Third band was Jeremy’s Ten – Pearl Jam Tribute Band. Lead singer Dermon Hunter has a very charismatic way to get the audience to become interactive with the band. I have to be honest and note that I’m not a huge Pearl Jam fan, but I was impressed with the songs and the enthusiasm from the band. Next on stage was Hey Jonny Park – Foo Fighters Tribute Band. I couldn’t wait for them to play. 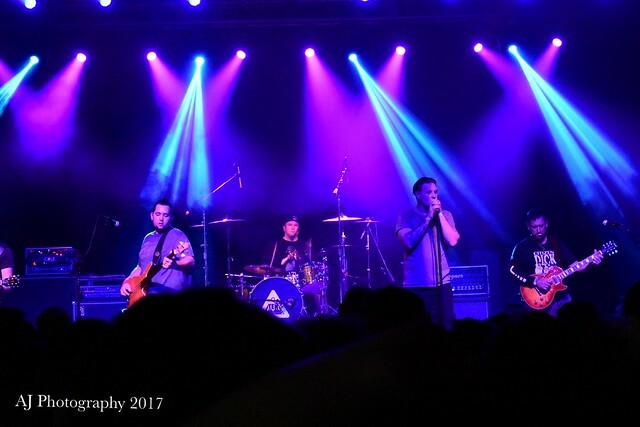 I saw them at The Underground several months back and became an instant fan, so I was excited to see what was in store for everyone once they hit a larger stage next door at The Fillmore and they delivered. They played the standard Foo songs then in the middle of the set, graced us with “Run” off of the new album Concrete and Gold, which was a nice surprise. The final band of the evening was Nirvanna – Nirvana Tribute Band. 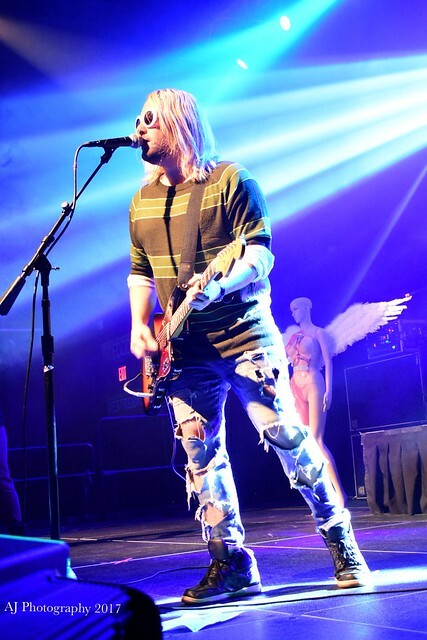 Lead singer Clayton Sturgeon had the look and sound of Kurt Cobain to perfection right down to the striped tee shirt, white rimmed sunglasses and weathered jeans. These guys were already a ball of energy backstage and then to end the evening with that same burst of energy playing last was a pleasure to witness. All in all, Grungefest was a huge success in my book and I look forward to the next one. Each of the bands are extremely talented and love what they do. It was a pleasure to meet each and every one of the bands and enjoy an entire day with some of the greatest musicians here in Carolinas.